PURPOSE Are you looking for a sneak-peak into the world of juicing? 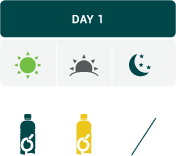 Our Starters Juice Pack consists of 4 bottles (3 juices and 1 nut milk) intended to optimize your intake of greens. By consuming 2 bottles a day over 2 days, this package allows you to experience the revitalizing effects of our nutritious blends, while giving you a glimpse of the full-blown benefits of our more advanced programs. 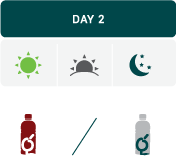 ACTION With this program, you will enjoy 4 bottles in 2 days (3 juices and 1 nut milk). 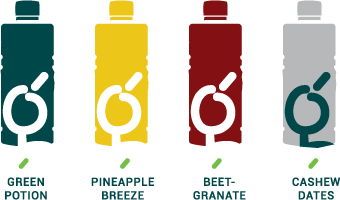 Each bottle is labeled so that you can consume the right juice at the right time (numbers 1 through 4). You can drink each bottle as a replacement for breakfast, snack, or dinner. Make sure your juicing days are balanced with unprocessed food, lean protein, legumes, vegetables, and fruits.